In 2016, Belarusian diplomats succeeded in getting rid of most Western sanctions, improving the international legitimacy of the national parliament, regularising dialogue with Europe, and converting Poland from a strong critic into a good partner. Nevertheless, they failed to make Lukashenka fully presentable to his peers in Europe, alienated Ukraine’s political elite, botched export growth and diversification of the export market, and turned Lithuania from a supporter into a foe. Belarus Digest offers its summary of Belarusian diplomacy’s achievements and failures over the past year. A farewell to EU sanctions. In February, Belarusian diplomacy scored a major victory when the European Union ended travel bans and asset freezes against most individuals and all companies from Belarus. Meanwhile, in the months preceding the final removal of sanctions, the Belarusian authorities failed to systematically improve the human rights, democracy, and the rule of law situation in the country. Geopolitical considerations played the decisive role in the EU's decision, even if European officials denied it. In the regional security context, Europe decided against rebuking Belarus, which had previously acted as a fairly independent player. Maintaining an ‘optimistic status quo’ with the US. Unlike Europe, the United States refrained from definitively removing sanctions against Belarus. However, Washington remunerated Minsk for its renunciation of overtly repressive policies by suspending economic sanctions repeatedly. Belarus and the United States focused their dialogue on regional security issues. They also resumed military cooperation. 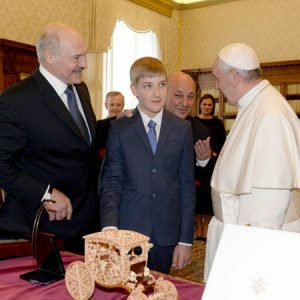 President Alexander Lukashenka chose to become personally engaged in these talks. He received several mid-level US envoys without giving diplomatic protocol too much mind. Similar to Europe, the United States prioritised Belarus’s distancing from Russia’s assertive behaviour in the region over long-time concerns for human rights and democracy. However, the lack of progress in these areas precluded further improvement of bilateral ties. Mainstreaming dialogue with Europe. In 2016, Belarus developed high-intensity relations with Europe, in both institutional and bilateral dimensions. Hardly a month went by without high or mid-level EU emissaries coming to Minsk or Belarusian officials visiting Brussels. Belarus and the EU launched a new format for structured dialogue, the Coordination Group. While high-level bilateral exchanges with many EU countries has become quasi-routine, Belarusian diplomacy remained most successful in strengthening bilateral contacts with Central and South-East European nations, leaving the 'old' Europe behind. Lukashenka has remained a political outcast in Europe. His only ‘visit to Italy’ in May was a mere face-saving encounter with an Italian ceremonial official on the way to his meeting with the Pope. Befriending Poland. Regional security considerations and genuine economic interests have encouraged Warsaw to pursue greater engagement with Minsk, putting aside ‘ideological superstitions’. The two countries managed to re-establish multifaceted interagency contacts, which included long-taboo parliamentary cooperation. However, they stopped short of highest-level meetings. Poland also cut down its support for the opposition in Belarus and considered shutting down Belsat, the only independent Belarusian TV channel, which it supports financially. It is not clear what Warsaw got in return, besides strengthened economic cooperation and hesitant signs that Belarus is turning away from Russia. Meanwhile, several unresolved issues, mostly related to ethnic minority rights and trans-border contacts, have hampered a full normalisation of bilateral relations. Fending off Lithuania’s diatribe. Although Belarusian-Polish relations improved, Belarusian-Lithuanian relations deteriorated. The two countries’ disagreement over the construction of the Belarusian NPP near their shared border caused a crisis. Lithuania expressed fear about environmental and safety issues. Belarus saw economic and political motives behind Lithuania’s claims. Vilnius attempted to form an international coalition to block potential exports of electric energy from Belarus. Minsk countered these efforts by pitching cheap energy to Lithuania’s neighbours and gradually increasing transparency around the nuclear project. Bilateral trade and investment cooperation suffered as a result. Legitimising the puppet parliament. Over the last twenty years, the international contacts of Belarusian MPs has remained largely limited to their Russian counterparts, the CIS, and developing countries. European legislators have overwhelmingly boycotted the rubber-stamp institution, which the executive branch appoints and controls. In 2016, several Western parliaments apparently took the removal of sanctions as an encouragement to reengage with Belarus in all areas, including inter-parliamentary relations. Exchanges of parliamentary delegations between Belarus and Europe have become commonplace. The visits of high-level MPs from Poland and Austria were especially instrumental in helping the marginalised Belarusian legislature to gain international recognition. No convincing attempt to provide an explanation for the sudden need to ‘normalise’ the entity, which has no say in Belarus’s domestic or foreign policy, has been made so far. Withstanding Russian pressure. In 2016, relations between Belarus and Russia reached their lowest point in years. The two countries squabbled over a number of unresolved issues in different spheres: oil and gas supplies, market access, exports of Belarusian agricultural and food products to Russia, loans, transit of third-country nationals through the Belarusian-Russian shared border, and more. Both countries avoided verbalising the intensity of disagreements at the political level. Instead, they took recourse to various ‘soft power’ measures. These included airing propaganda talk shows on Russian TV with speculation about pro-Maidan trends in Belarus; arrests of pro-Russian journalists in Belarus; fomenting fears of a Russian invasion of Belarus; and Lukashenka’s refusal to attend a Eurasian summit in Russia. Belarus remained dissatisfied with Russia’s reluctance to provide its usual level of economic sponsorship. Russia was unhappy about Belarus’s decreased level of loyalty in foreign policy and security matters. Disappointing the Ukrainian elite. In 2016, Belarus managed to increase its bilateral trade with Ukraine; this stands in stark contrast to its deteriorating commercial relations with most other countries. The two countries also succeeded in putting an end to a tariff war between them. However, despite Belarus’s tacit refusal to support Russia in its hybrid war against Ukraine, political relations between Minsk and Kyiv deteriorated. Alexander Lukashenka and Petro Poroshenko have not met in a bilateral format since mid-2014. Their agreement to meet in late 2016 failed to materialise after Belarus voted against a UN resolution on human rights in occupied Crimea. This vote angered many among Ukraine’s elite. Failing to achieve a breakthrough with ‘Distant Arc’ countries. 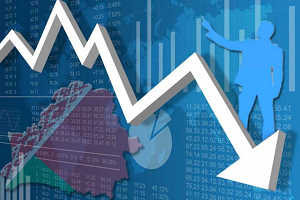 Belarus sought to achieve a more balanced geographical distribution of its exports to decrease the national economy's vulnerability to stress situations in its main markets. Lukashenka travelled extensively outside Europe and Russia – visiting China, Pakistan, Qatar, Turkey, and the UAE. His diplomats also focused mostly on Middle-Eastern and Asian nations. However, efforts to increase the share of ‘Distant Arc’ countries in Belarus’s trade have largely failed. In January-November 2016, exports to these markets decrease by 12.5%, from $7.13b to $6.24b, and the share in total exports remained at 29%. Belarus took pride in improving its relations with China from a simple ‘strategic partnership’ to a ‘comprehensive strategic partnership featuring mutual trust and win-win cooperation’. Belarus's excellent political relations with China may serve to counterbalance Russia’s outsized influence on Belarus. However, these relations have failed to provide an immediate economic payoff as Belarusian exports to China in 2016 contracted to their lowest level since 2009. Faltering at the United Nations. In 2016, Belarusian diplomacy invested much effort in reforming the process of appointment for new UN Secretary Generals. Throughout UN history, its leader has been chosen based on consensus of the Security Council’s permanent members. Despite some external signs of greater transparency and inclusiveness, Belarus’s reform efforts have largely failed. Even Belarus’s closest ally, Russia, refused to support this initiative. Minsk stuck to its non-consensual initiative in promoting the traditional family. It also created a group of like-minded middle-income countries, exploring a new way to access UN development assistance. Belarus’s policy statements at the UN contrasted with its recent pragmatic approach to bilateral and multilateral diplomacy. 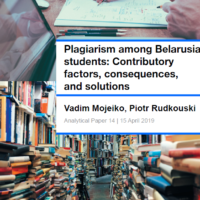 Using strong anti-Western and anti-capitalist rhetoric, they assigned blame for Belarus’s economic, social, and security failures to West-induced ‘global chaos’. In 2017, Belarusian diplomats will continue to work wonders: developing relations with the West without a hint of meaningful democratic reforms at home; keeping Russia as its closest ally and sponsor without offering the usual degree of loyalty in return; and increasing exports and attracting investments without economic restructuring and reforms.